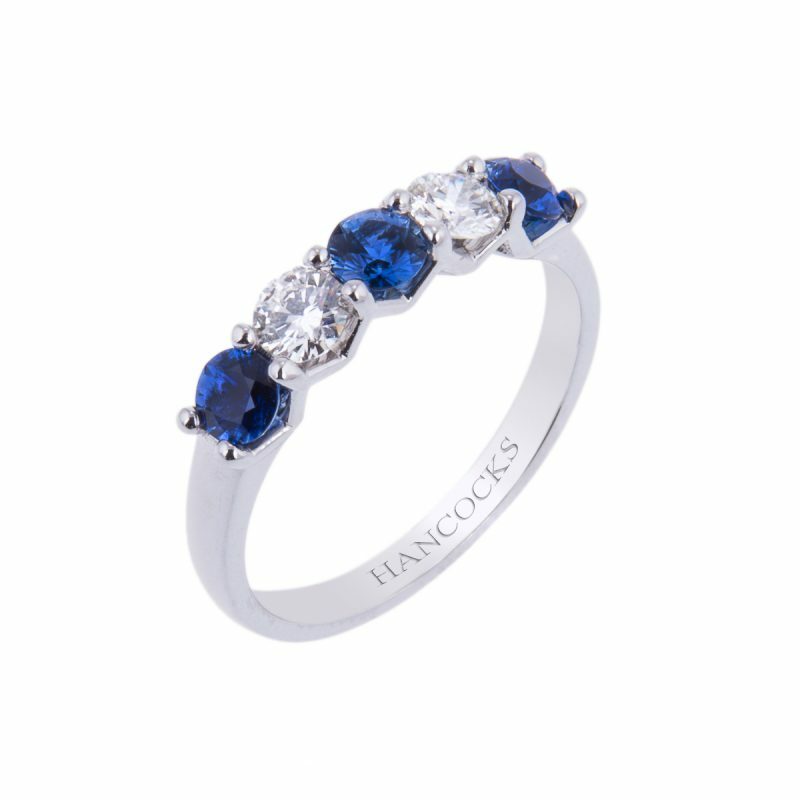 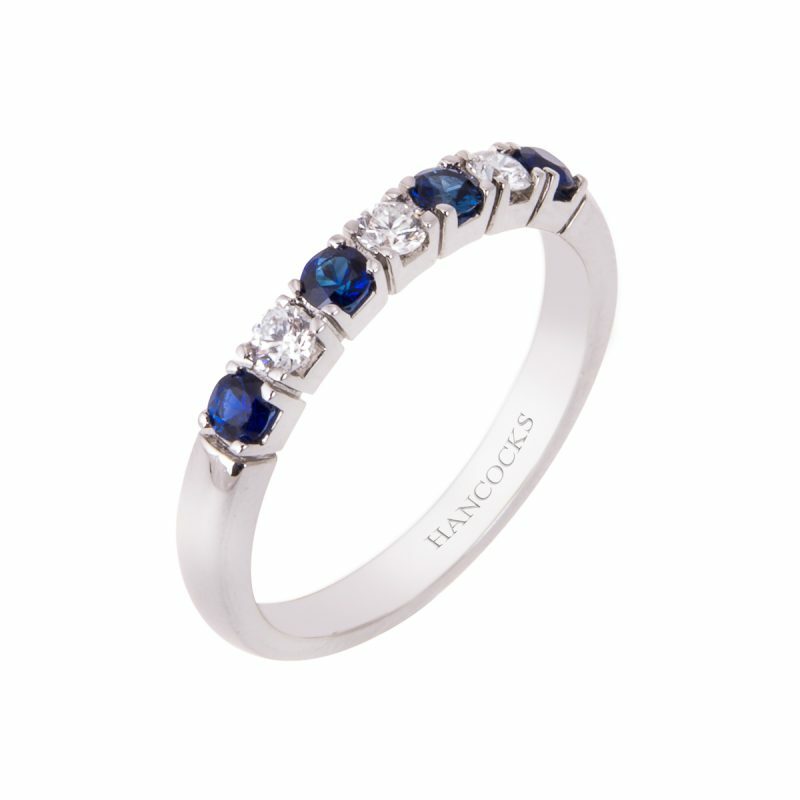 Sapphire and diamond half eternity ring set with round cut sapphires and brilliant cut diamonds, with a modern V-collet that gives this ring its distinctive look. 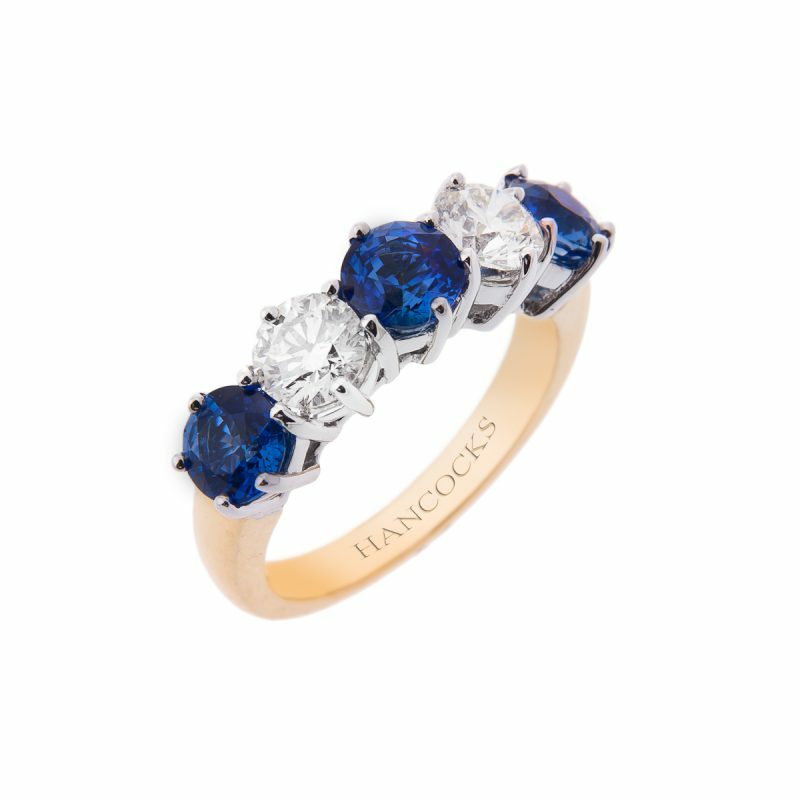 For the discerning woman of style. 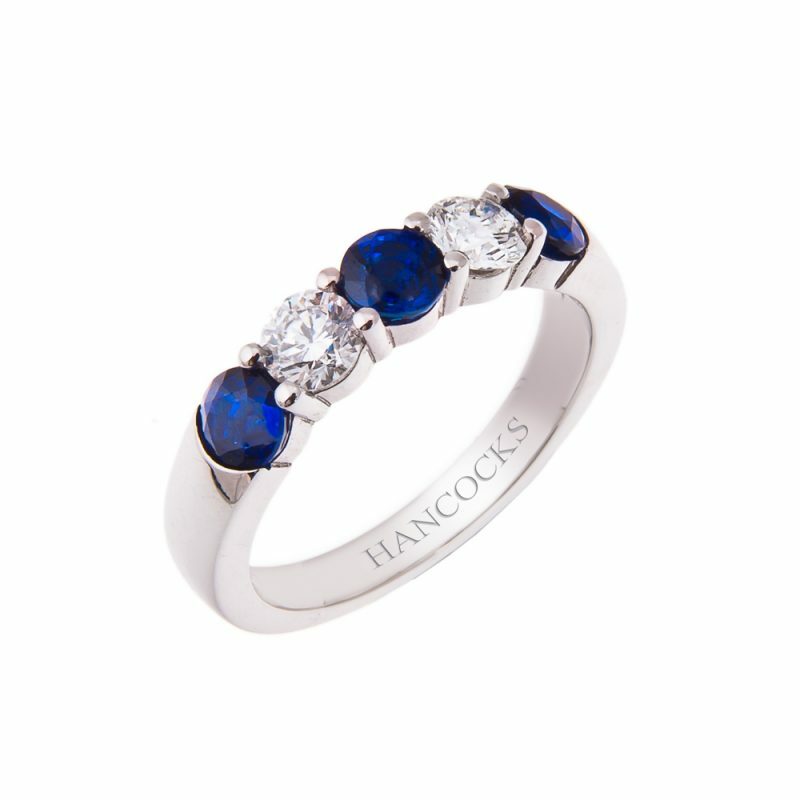 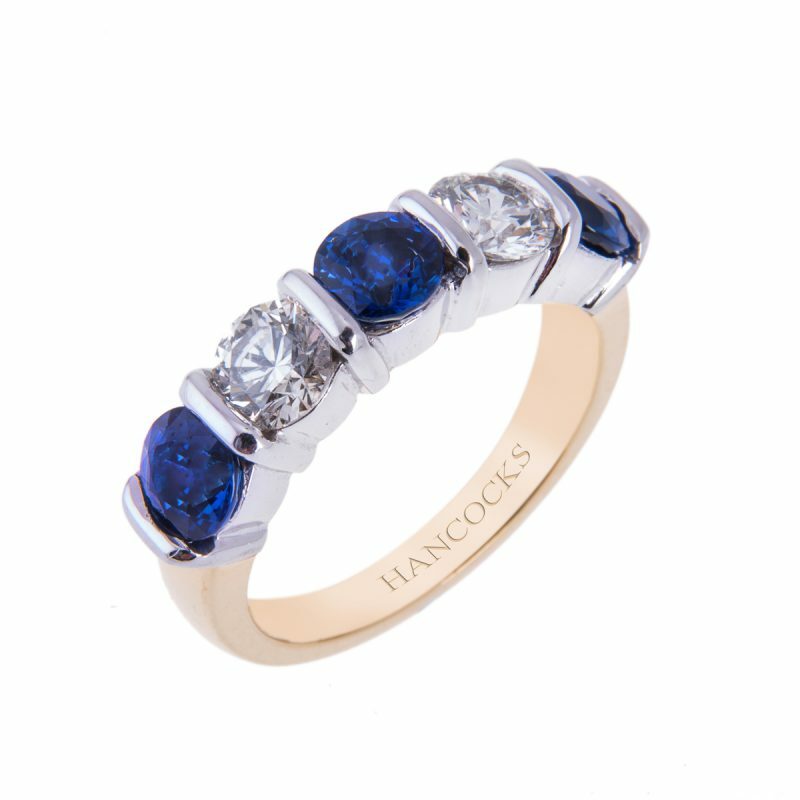 A duo half eternity ring, contrasting 3 rich vibrant blue sapphires and 2 brilliant cut diamonds.